Your neighborhood convenience store that provides a quick and easy customer experience with competitive prices. Sam’s Mart operates convenience stores, gasoline stations and car washes in North Carolina, South Carolina and Georgia. We provide a quick and easy customer experience with competitive prices. 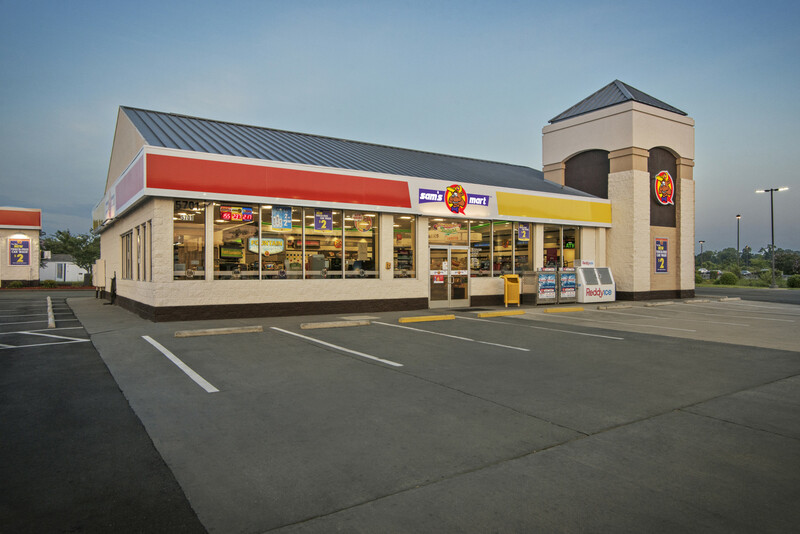 Our founder opened his first convenience store in Charlotte, NC in 1993. Since then, we have created a special brand of convenience stores where highly skilled and customer focused employees provide exceptional products and services. As a company we value integrity, customer service, community, accountability and excellence everyday. We are dedicated to exceeding expectations in all aspects of our business while maintaining an active role in the neighborhoods we're located by being an environmentally and socially responsible company. Sam's Mart provides high quality fuel at our locations through our partnership with ExxonMobil and Shell. We also offer the same high quality fuel on a wholesale basis to independently owned and operated businesses. We operate our business from our headquarters in Matthews, NC with a satellite office in Atlanta, GA.
Sam's Mart is proud to be your local neighborhood convenience store offering great customer service and exceptional products. Find a location near you. Sam’s Mart is a growing company and is always looking for viable opportunities, and as a result, we invite you to inquire with Sam’s Mart for various employment or business offerings.